I like routers that look the part, but not everyone is fond of the traditional design. A plastic box that lights up and has a bunch of cables and antennas sticking out is not exactly what you might call pretty. However, there are some attractive options out there. ASUS's new Blue Cave, which was just announced today at Computex 2017, is one of them. Actually, save for the bottom part of the rear panel which houses the ports, I believe that the Blue Cave does not look like a router at all. Yes, it is a big plastic box too, but it has a big hole in the middle and no visible antennas. Looking at it, you might be inclined to believe that it is something else entirely. But, a sleek design is not all that it has, as its specs are pretty attractive as well. 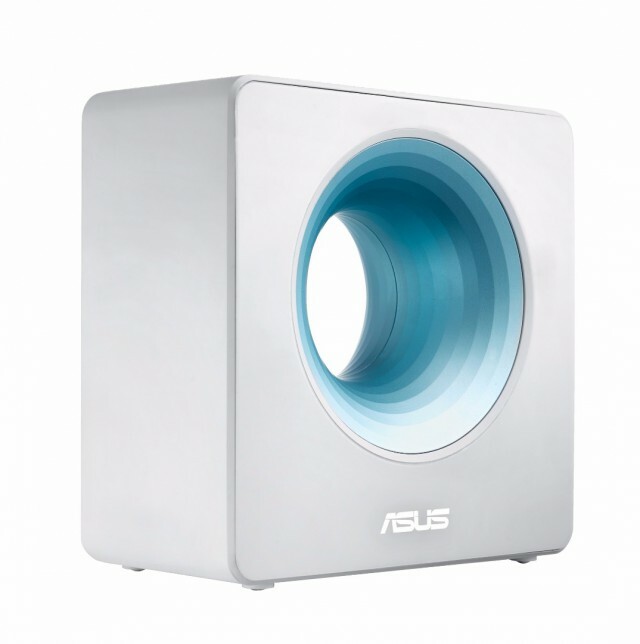 ASUS has equipped the Blue Cave with "the latest Intel Wi-Fi chipset," that allows it to offer AC2600 transfer speeds. Obviously, that means that it is Wi-Fi 802.11ac-compatible, which is standard fare on a high-end router nowadays. The Blue Cave, according to ASUS, allows you to enjoy "smooth 4K UHD video streaming, lag-free gaming and fast file downloads," as a result. It also supports "more client devices simultaneously than most routers available today, and [has] more than enough capacity to handle the growing number of connected devices found in busy household." The router also comes with what is said to be the "first commercial-grade security for home networks." The Trend Micro Smart Home Network-powered AiProtection solution is designed to protect connected smart client, and this includes Internet of Things devices. There is also a parental controls feature, for monitoring Internet and app usage, and app and IFTT support. There is no word yet on when it will be available, but the price is expected to be around the $180 mark.